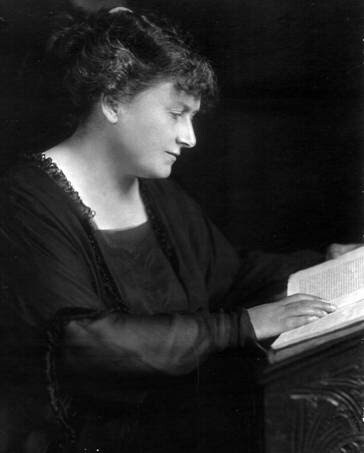 Dr. Maria Montessori was the first woman physician in Italy. She had studied math and biology before becoming a doctor, so she considered herself a scientist, not an educator. But this was at the turn of the 20th century when the common assumption was that there was no such thing as a woman scientist. And even as a doctor, she couldn’t just go into private practice. Instead, she was given the job of working with children with disabilities. Because she was a scientist who didn’t have a single theory or idea about education, she observed. And from her observations, she drew conclusions. One of the first things Maria observed was that the children in this place had no stimulation. There was nothing for them to do. So they sought out stimulation by picking up bits of gravel or sand or whatever they could reach. They would then rub it between their fingers. Using her scientific observation, she deduced that they needed more stimulation, especially sensory stimulation. After working with these children, and when they passed the state exams, she wondered how children without disabilities would do with this type of education. Maria’s next project was in a slum area in Rome. These were normal children but they couldn’t afford to go to school because their parents were working and the 5 year olds were taking care of babies. She brought them together and experimented. She tried one thing and another. And during all this, she continued to make observations. She was able to figure out, bit by bit, which ideas clearly served the children very well – and which did not. All of the Montessori sensorial materials were developed at this time. Another remarkable thing about Maria is that while her writings are copyrighted, the materials are not patented. She thought it was important for as many children as possible to benefit from them. Today, Montessori is touted because we have high achievers who attended Montessori schools who have done very creative things. Since many of these people now have children of their own, they are a big part of the reason that we are witnessing a resurgence of interest in Montessori. They want their children to have similar experiences. If Maria were alive now, she would see that this kind of education is revolutionizing how children learn, which is exactly what she anticipated. Montessori has lasted because it works. It’s the only educational system in the world that has continued to work for over a hundred years. In our country, we are always updating and changing and we don’t stick with something that really works. Montessori works, everywhere in the world, in every place, on every continent. It clearly meets the needs of children for learning and development. One of the reasons it works is that it is completely developmental. It is not based on any specific curriculum. It is based on a child’s developmental goals; hence the mixed age classrooms. Children have different needs at different stages of development, and Montessori calibrates its approach accordingly. Modern science is discovering a lot of things that Montessori already discovered. Cognition/learning and movement are very connected in humans. Everything requires movement. And that movement is what organizes the brain and neurological pathways for learning. To put it simply: we learn by doing things. Montessori materials are developed specifically to create a strong learning foundation. Using these Montessori materials helps children build their sensory and motor skills, develop better concentration, establish problem solving abilities, and encourage independence along with the ability to work with others. Younger children have very sensorial based materials. Something to handle, something to feel, something beautiful. As the children get older, there are more printed materials. Everything becomes increasingly conceptual. Is Montessori the Origin of Amazon & Google?